The skin care industry has undergone remarkable advances in specialized treatments that can help in many different areas. From skin rejuvenation to the removal of skin tags, we create personalized skin and body care programs that will substantially improve your appearance, skin texture and sense of well-being. Because you deserve the best, our products are of the finest quality; combining science and nature. We are also committed to advising you on the latest and most advanced skin and body care treatment options. We are always upgrading our services and equipment to offer the latest and best treatments in the skin care industry. 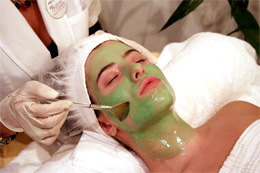 We have the right equipment to treat a wide array of skin ailments and blemishes. The following list describes a few of the current treatments and ailments we specialize in. For an accurate assessment of price and condition please contact us to book a free consultation. Removes the surface layers of the skin, allowing smoother, fresher skin to emerge. It contracts the muscles, to work on lifting wrinkles and sagging skin. Provides nutrition and water to the dermis, also acts as a structural base for the whole skin. Provides sensation via the nerve endings. Regulates body temperature via sweat glands eliminates perspiration and toxins. Produces sebum (oil) to help bind in moisture.